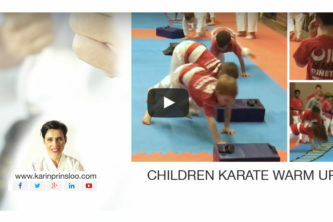 My daughter has been training with Sensei Karin Prinsloo since 2006, from the age of 6. She has gone from strength to strength under the nurturing of the awesome Sensei’s and Sempei’s that have trained her over the years. She has received Gold, Silver and Bronze medals over the last 10 years in competing in various Championships. Received her SA Protea and SA JKA National Colors as well. The family environment can’t be beaten and we are proud to part of the JKA PINETOWN KARATE DOJO. As the teacher, so the student…. I did not learn just how to deliver a kick or a punch, I learned how to do it with perfection! And that’s just two items that I refer to, the well respected instructors ensure that whatever we do, we do it meaningfully and with a commitment. Sensei Karin, Sensei Graz, Sensei Wes, Sensei Dylan and Sempei Grant, to name but a few, offer themselves selflessly to ensure that we give off our best at all times! It is truly a humbling experience to be a part of this amazing club that offers expert training together with humility and a sense of belonging. Belonging and practicing karate at JKA Pinetown Karate has made my daughter a very confidant young lady. 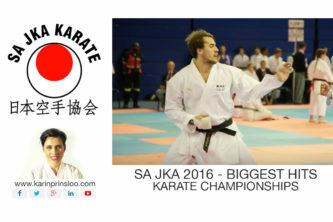 She became a Junior Springbok through the excellent instruction and dedication to karate by Sensei Karin Prinsloo.